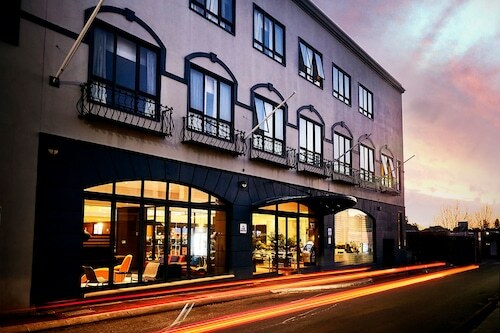 Located in Perth Central Business District, this hotel is steps from St George's Terrace and Hay Street Mall. 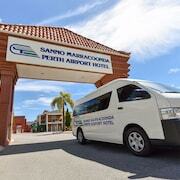 Elizabeth Quay and Royal Perth Hospital are also within 15 minutes. Perth Station is 7 minutes by foot and Perth McIver Station is 8 minutes. Perth, Perth, it rhymes with mirth. It also rhymes with earth and firth, but that’s not really the point. 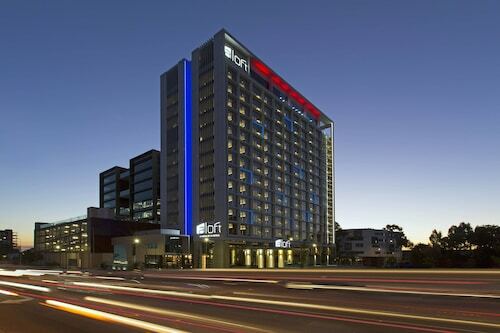 What we’re trying to say is you’ll be full of mirth when you book cheap Perth hotel deals through Wotif—all the money you save with us is better spent on other things, don’t you think? You’ve got lots to do when it comes to exploring the capital of Western Australia, from laying out on beaches fronting the Indian Ocean to high-fiving kangaroos at John Forrest National Park. And we haven’t even said anything about the quokkas yet. Ready to see Perth? Let’s go! The sunniest capital in the world (yes, it’s true) isn’t just famed for its sunshine. 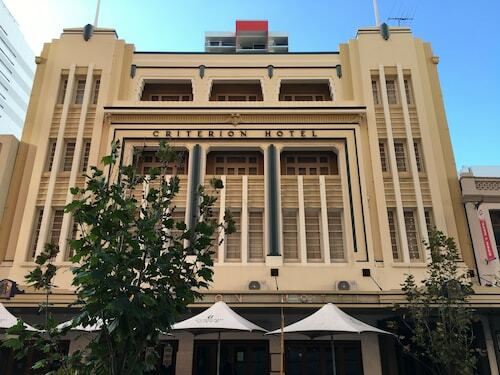 Perth has a fascinating, often slightly off-kilter history. 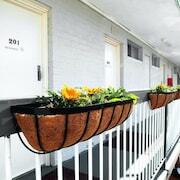 We’ve collected some of our favourite tidbits to share with you. Before it was named Perth, the area was referred to as Boorloo, which is arguably way more fun to say. Perth has a ton of self-made millionaires. The highest per capita in the world! Hang on, mate, are you sure you just want to visit? Maybe it’s time to consider a move. 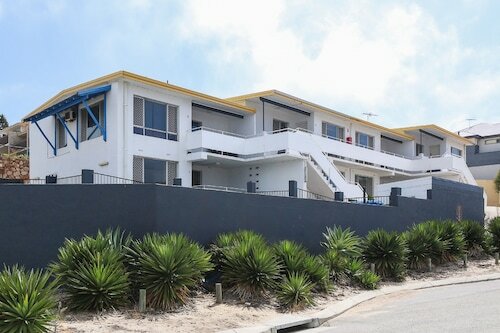 We’re sure you can plot your next get-rich-quick scheme from your Perth accommodation. When astronaut John Glenn was orbiting good old planet Earth in the 1960s, Perth turned on all the lights. This made the city easily visible from space and gained it the nickname “The City of Lights”. Step off, Paris. Perth’s got this. Perth was the last city to join the Federation of Australia—and it made the other colonies pay up dearly. “You want us to join your federation?” Perth said. “Well, we want a railroad.” And you know what? They got it. So now you’ve got some background about Perth. What else is there to know about it? For starters, it’s a seriously beautiful location. You can relax on Leighton or Cottesloe Beaches (or one of the many other strips of sand that nudge up to the city), or you can see what else nature has to offer you. Kings Park and Botanic Garden is the place to visit when you need to get back in touch with nature. We’re talking 400 hectares of sweet, sweet plant life. The botanic garden houses many plants that don’t grow anywhere else, and where else can you go hiking in “the Bushland”? Nowhere. The Swan River runs through the city and empties into the Indian Ocean. Not only is this body of water seriously nice to look at, it’s home to all kinds of fun things to get into—take a wine cruise and sip while you float, or just lay out along the shore, fantasising about your next move. 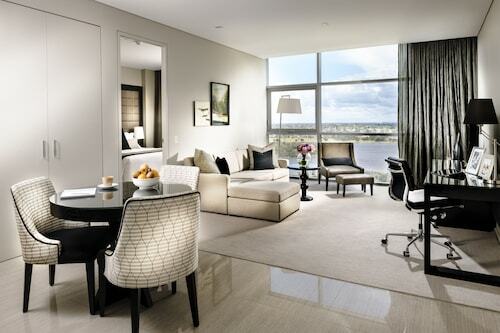 If you’re really into the river, book one of our Perth hotels on the waterfront and stare at it all day long. If your outdoor excursions just aren’t complete without some quality time spent in wide open spaces, beat feet for John Forrest National Park. It’s an easy 30km drive from Perth, and while you’re there, you can play in waterfalls, gaze out over beautiful forest land and eat lunch with some kangaroos. Yes, kangaroos. They hang out at the John Forrest Tavern: tell them we said hi, will ya? It’s surrounded by cool places to visit. Sure, Perth’s the place to be, but if you’ve booked car hire or feel the old wanderlust pulling at you, you’re in luck. Swing by Dwellingup State Forest, or take an extended adventure about 270km to the south. Bring your camera and document everything this remarkable place has to offer. Marvel at subterranean beauty at the Lake Cave, or just say hi to the local critters at Sunflowers Animal Farm. 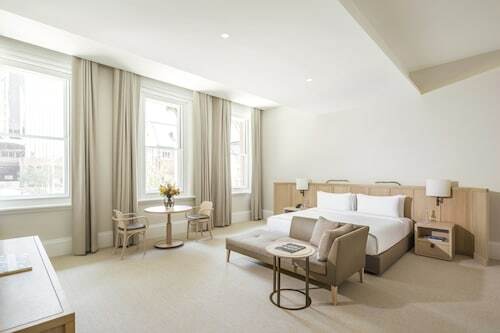 Put up your feet and stay awhile; our Margaret River accommodationmakes it easy to take an extended holiday. Just off the coast of Perth is Rottnest Island. Quokkas live there. That is all. What’s that? Your epic adventure isn’t the same without a night on the town? We’ve got you covered. Put the money you save on one of Wotif’s Perth packages toward something exciting—like a decadent dinner out, or an evening at the theatre. Ready to feel a little fancy? Head for Restaurant Amusé over on Bronte Street. 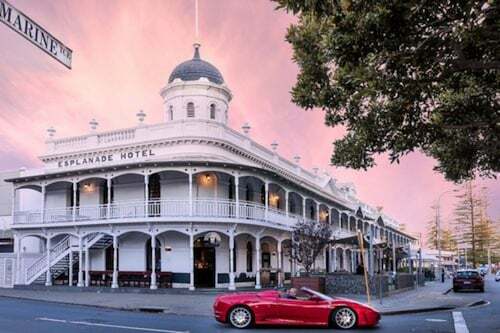 The menu varies by season, and the wine pairings can’t be beat, so make sure you’ve got a deso or can call a cab to get you back to your accommodation in Perth! Continue an evening of elegance by taking in a show at His Majesty’s Theatre. 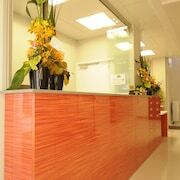 The schedule varies, but the décor does not. Step inside and tip your head back: the dazzling red and gold dome is straight out of the Edwardian era. Toast a perfect holiday at Universal Bar, located on William Street. Grab a meal and a cocktail, and settle back for some of the best live music in town. You can thank us later! 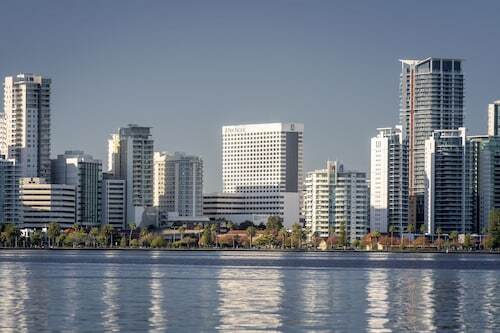 Much of Perth’s downtown area overlooks the Swan River, and this is the spot to stay if you want easy access to all of the city’s many charms. 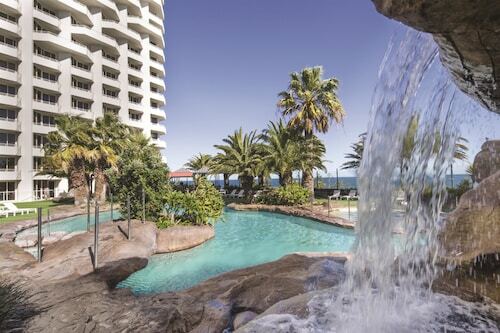 If your holiday isn’t a holiday without waking up to the sight of water rolling by, then book a room at the Hyatt Regency Perth. Would you rather be closer to the botanic gardens? 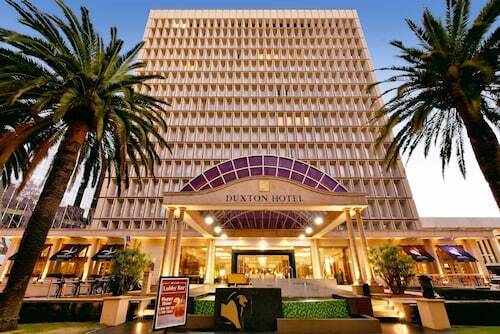 Parmelia Hilton Perth is practically adjacent to the famous Kings Park. Make a circuit on the walking paths before your morning coffee, and then broaden your adventures into the greater part of the city. Just down the road is the Royal Perth Golf Club—actually, Perth itself is full of golf courses, among them Mount Lawley and Wembley. Want to work on your par? Bring those clubs! 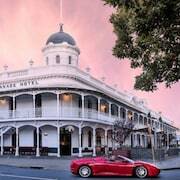 Another hotel that rests right near the river is Fraser Suites Perth. Enjoy a picnic at the Baywater River Gardens, or just relax in the sun with a lazy paddle down the river itself. Rugby fans won’t have to look far for fun: nib Stadium is nearby, where both Western Force and Perth Glory face off with challengers. So you’ve done it. You’ve figured out some of your itinerary and selected one of our hotels in Perth to serve as a home base for all your adventures. Trust Wotif to help you secure the best accommodation for a rate that won’t leave your wallet crying out for help. What are you waiting for, mate? The “City of Lights” is ready to illuminate your holiday—and we can show you the way. 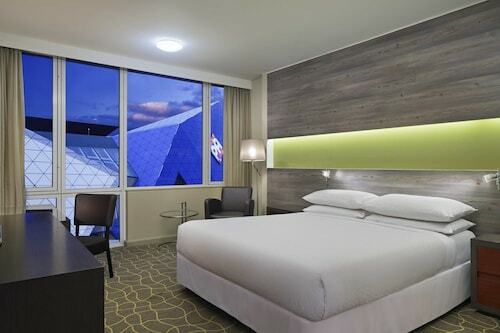 How Much is a Hotel Room in Perth? 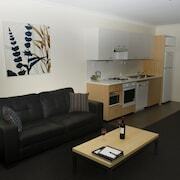 Hotels in Perth start at AU$49 per night. Prices and availability subject to change. Additional terms may apply.